•1. Increase knowledge of tutor/mentor programs, where they are needed, what it takes to help them succeed and what individuals, business, faith groups, universities, etc. can do to help. Read more. •2. Increase frequency of stories about tutoring/mentoring in order to build awareness for the tutor/mentor movement, individual organizations and the need for such programs. More. •4. 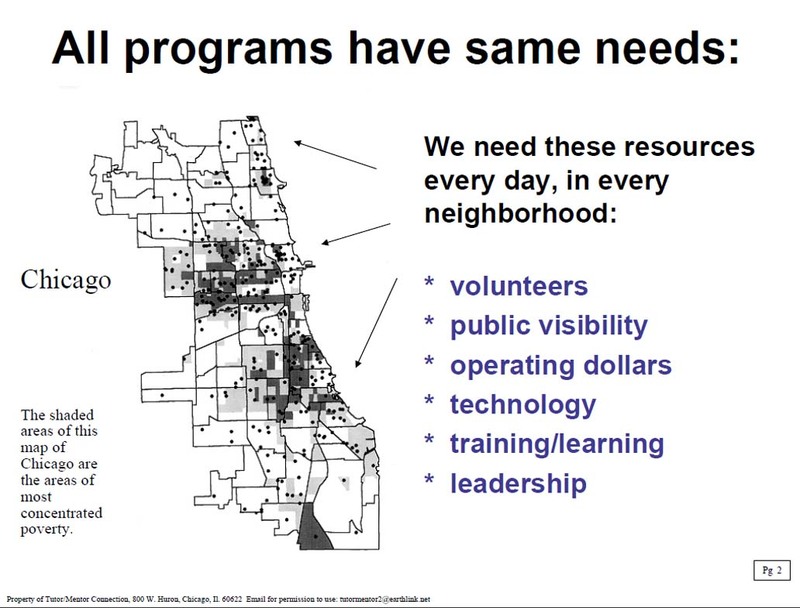 Increase the flow of critically needed resources (dollars, volunteers, training, ideas, business partners, technology, and media attention) directly to programs in every poverty area of Chicago. As we increase the number of volunteers involved, and support their on-going learning, we increase the number of people working to help kids overcome challenges of poverty. This is the result of "Mentoring as part of a larger strategy". More. 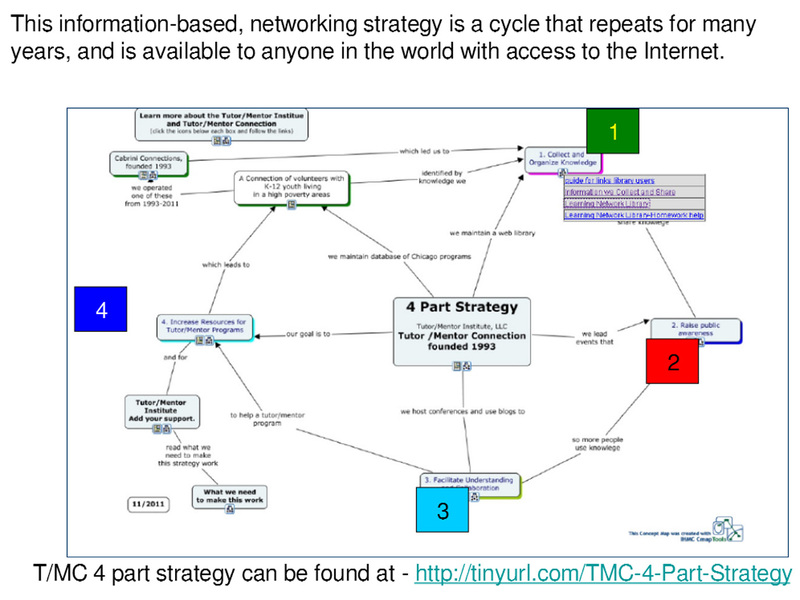 Read blog articles to see how this strategy is explained. This web site is called the Tutor/Mentor Institute. It shares ideas generated by leading a volunteer based tutor/mentor program in Chicago over the past 35 years. In the Tutor/Mentor Connection web site you will find more than 2000 links to hundreds of other tutoring/mentoring organizations, as well as researchers, businesses, education writers, and others. These represent a body of knowledge that anyone can use to build their own strategies of what it takes to help kids from poverty be starting jobs and careers by age 25.